HOW on this green earth (though, admittedly not as green as it should be given the dire drought) did it come to be September??? 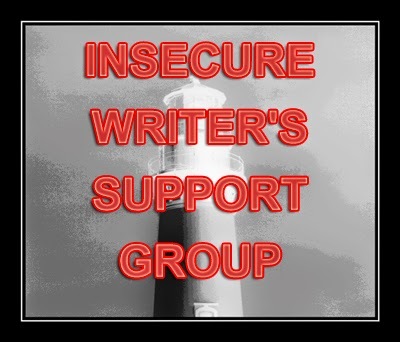 Still, there’s one good thing about the months blending into each other: it’s time for another installment of Insecure Writer’s Support Group. Visit our Ninja Captain Alex, hop on the Linky, and give the cohosts some love: Laura at My Baffling Brain, Mark Koopmans, Shah Wharton, and Sheena-Kay Graham. And what exactly am I insecure about this month? It’s no secret I went to Dragon Con this last weekend. Fun was had, and I went to see some of my favorite makers of STUFF I LOVE. For the most part, people ask the creators about how awesome things are or if this obscure detail was actually something of importance. This time someone asked Jim Butcher what his advice was for getting published. It was to move on. Don’t get caught up writing and rewriting the same book. The problem is that the bad is already baked in. –Jim Butcher (okay, it’s paraphrased. I didn’t record it, but that’s the spirit of it). This has been the year of going back through old stuff for me. I’ve been working on projects that came to life in 2009 and 2011. Could he mean me? 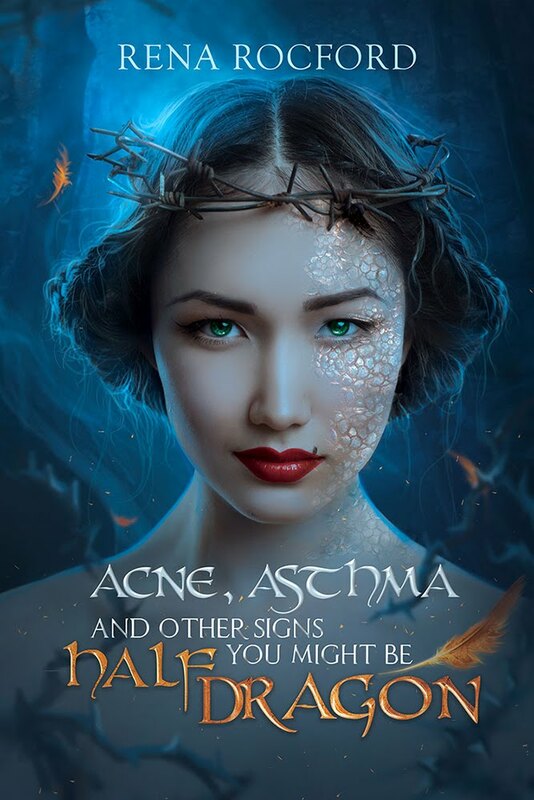 One of them is a complete rewrite―and by complete, I mean I threw out all the words, started again, then threw out all the words and started again, changing major plot points and attempting to rearrange the bad bits. And this is where my insecurity comes in. Am I just rehashing all the baked in good? Are my stories the ones Mr. Butcher is talking about? Are my stories being rewritten fatally flawed like a batch of cookies with a cup of cream of tartar instead of flour? How to combat this insecurity? First, I’m going to write books. Some will be good, and some will be my attempts to justify why I sometimes wash the clothes but don’t put them into the dryer―only with magic and monsters and mayhem. Second: people are going to dislike my work. Maybe many, maybe few, but there will be haters. The people who have made things I love, did so against all odds and against the better judgment of everyone they knew professionally. This doesn’t mean we should just throw caution into the―you know what? I think it does. Throw caution into the wind and write stuff you love. This is the new motto: If you love it, write it. Even if you’re writing dystopians, you’ll eventually find that perfect combination that rocks it out of the park. I know, you’re all getting mad at me now, but the first reader, the one we need to please most, is ourselves. I’m currently cleaning up a novel that I thought I was done working on. Instead, I’m prepping to do an edit, then a full edit, then one more time for good measure, and THEN read through it not once, but twice more (possibly three times). And this is after all the work that I did on this novel, which was not insubstantial (draft, edit, edit, rewrite, edit, rewrite, edit, EDIT ONE MORE TIME), so if I don’t love the story, what’s the point? Thankfully, not all novels will go through the grinder this much, but many, many do. But the real key to the “move on and write something new,” is that eventually, you will hit the perfect combination. You will write something you love and many many other people love too. It’s all just a gamble anyway, so why not have fun on the ride? This: "Throw caution into the wind and write stuff you love." I'd hated t be the one to tell Margaret Mitchell that spending years on a single book was a waste of time (or the lady who wrote The Help). I believe if you still have the desire to work on the book, you should stick with it. I have old stuff, new stuff, and stuff that may never see the light of day. The trick is to keep at it. There is no single path. There are as many writing styles as there are reader styles. Write what you love and keep writing/editing until you love it. You're right-the person you need to please most is yourself. Some people are going to hate it, some are going to love it. Just tell the story you want to read. This is presumptuous, but I think Butcher was referring to people who a) spend years working on only one book and b) do nothing to improve their craft during this time. You will hear stories of people working on books for years, and they're awesome. So good for those writers, keep at it. But you also have probably met a few people who are on the same book treadmill every day, but instead of adding or changing or improving what they're working on, they're just rehashing the same plot. At that point I think the advice is good, because a lot of those people probably feel like this book is THE ONE. The one that will give them fame and fortune and cookies that won't add to their waistline. It's a trap a lot of people fall into at one time or another, but it's good to step back and realize that we have lots of ideas through our life and we don't have to chain ourselves to one book. Oog. This hits hard, mostly because I swore earlier this year to stop trying to make a story idea work after the fourth incarnation. >_< As much as I hate to say it, sometimes writing what you want and love doesn't lead to a good book. But trying it anyway is a hell of a lot better than writing something that you only *sort of* want to write. And I like to think that nothing's ever wasted - any good that was hidden somewhere in a mediocre book has a good chance of showing up somewhere else, where it can really shine. "Throw caution into the wind and write stuff you love" is something I can get behind. Moving on is great advice. Even in editing. Sometimes we get so caught up in wanting to make it perfect that we could edit a book to death. All writers need to know when to move on with s book, whether because it's time to submit it, publish it, or even to trash it. I think we can get to this point, where you need to toss it. I have ones I need to toss. But I also know people who've rewritten old stories once they've learned more about the craft and have gone on to sell them. I think you have to assess each ms on its own.